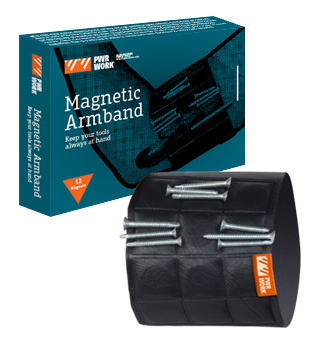 PWR WORK® Keep metal utensils attached to your arm with this high-powered magnets armband. It sticks to your arm firmly and keeps at reach all the time. Perfect for screws, nails or small tools.